Claims of positive psychology about people with cancer enjoy great popularity because they seem to offer scientific confirmation of strongly held cultural beliefs and values. Our goal is to examine critically four widely accepted claims in the positive psychology literature regarding adaptational outcomes among individuals living with cancer. We examine: (1) the role of positive factors, such as a “fighting spirit” in extending the life of persons with cancer; (2) effects of interventions cultivating positive psychological states on immune functioning and cancer progression and mortality; and evidence concerning (3) benefit finding and (4) post-traumatic growth following serious illness such as cancer and other highly threatening experiences. Claims about these areas of research routinely made in the positive psychology literature do not fit with available evidence. We note in particular the incoherence of claims about the adaptational value of benefit finding and post-traumatic growth among cancer patients, and the implausibility of claims that interventions that enhance benefit finding improve the prognosis of cancer patients by strengthening the immune system. We urge positive psychologists to rededicate themselves to a positive psychology based on scientific evidence rather than wishful thinking. Special thanks go to Allen Sherman for his editing of an earlier version and to Stephen Palmer and Adelita Ranchor for their comments and editing of a later version. In his foreword to the second edition of the Handbook of Positive Psychology, Peterson  warned of “the temptation for those of us associated with this new field to run ahead of what we know” (p. xxiii). He reminds us that “[p]ositive psychology is psychology—psychology is science—and science requires checking theories against evidence.... Positive psychology will rise or fall on the science on which it is based (p. xxiii).” From its inception, positive psychology has insisted that what distinguishes it from previous positive psychologies (there have been several) is its “cumulative empirical base” (, p.7) and its “reliance on empirical research” (, p.252). In this article, we examine four areas of positive psychology critically relevant to readers of Annals— (1) the role of positive factors, particularly a “fighting spirit” in slowing the progression of cancer and extending the life of persons diagnosed with cancer [4, 5]; (2) the effects of interventions cultivating positive psychological states on immune functioning and cancer progression and mortality; (3) benefit finding in the face of health threats; and (4) post-traumatic growth following serious illness and other highly threatening experiences. We have chosen these areas because they represent the most distinctive and provocative claims of positive psychology about cancer and because they enjoy considerable popularity, resonating as they do so well with cultural beliefs and media accounts of the psychology of cancer. Yet, we will argue that, in making these claims, positive psychology researchers have run well ahead and even counter to what we know, have failed to check theory against evidence, and have been seemingly oblivious to the cumulative empirical base of the broader psychological and cancer literatures. In doing so, they have failed to live up to the pronouncements of the field’s spokespeople while promulgating bad science. In offering this critique, we are not implying that all of positive psychology is flawed or that focusing on human strengths is inherently unscientific. Recent theoretical and empirical contributions revealing the role of positive affect in human adaptation  and evidence demonstrating people’s previously unrealized resilience in the aftermath of adversity [7, 8] demonstrate the potential benefits that can accrue from applying the best of psychological science to the study of positive aspects of people’s lives. Nonetheless, the areas of inquiry we discuss in this article, which have drawn tremendous attention from within behavioral medicine, the broader psychological community, and the popular press, are scientifically flawed. In their enthusiasm to advance positive psychology, its advocates have created an enormous gap between their assertions and scientific evidence. We now turn to the first of these flawed areas of inquiry, positive psychology’s perspective on attitude and emotion influencing survival after diagnosis of cancer. Positive psychology articulates a role for hope, wisdom, courage, spirituality, responsibility, and perseverance in human adaptation in sharp contrast, proponents claim, to the negative biases of a conventional psychology that is too focused on distress and psychopathology to the exclusion of positive experiences . A positive psychology of cancer challenges the conventional emphasis on the trauma and long-term negative psychological consequences of a dread, devastating disease  with the view that many, perhaps most persons diagnosed with cancer find benefits and positive meaning in the experience and even grow psychologically . But a positive psychology of cancer further asserts that the progression and outcome of cancer can be influenced by an attitude of fighting spirit, positive coping including acceptance and positive expression of feelings, optimism, and social support . In an important sense, extension to cancer bolsters the credibility of the larger paradigm of positive psychology by broadening claims that it can provide an empirical basis for living a better richer life to it being able to provide a basis for extending life after a diagnosis of cancer. A positive psychology perspective on cancer also is quite consonant with entrenched cultural beliefs and media portrayals of cancer as a life-threatening disease that can be defeated by character strength, persistent effort, and maintenance of a positive attitude, and it seemingly provides a scientific basis for these beliefs. The idea that by adopting a fighting spirit, cancer patients improve their chances for survival predates its endorsement by positive psychology. Yet, if true, the idea epitomizes the triumph of character and attitude over biology that is so key to a positive psychology of cancer. Fighting spirit is characterized by patients optimistically viewing cancer as a challenge and having a determination to fight the cancer and not to allow it to disrupt their lives. It was first conceptualized as an attitude toward cancer, but later as a positive coping style. An early study  was widely interpreted as demonstrating that patients having a fighting spirit were more likely to be disease-free and to survive to 5 and 10 years post-assessment. However, these claims were based on a small investigation that used a brief open-ended question assessment in a sample of 57 early-stage breast cancer patients and which lacked statistical control for node status. A later, larger study (n = 578) that used a self-report measure failed to find a prognostic value for fighting spirit . The investigators expressed relief: “Our findings suggest that women can be relieved of the burden of guilt that occurs when they find it difficult to maintain a fighting spirit” (, p.1335). A systematic review  of effects of coping on cancer identified 12 studies examining the prognostic value of fighting spirit for cancer progression and survival, with most of them having negative findings. The larger studies were uniformly negative, with the two positive studies being smaller and methodologically flawed and with inadequate statistical control of biomedical and treatment confounds. Overall, Petticrew et al. found little evidence of the influence of psychological factors on cancer progression and survival, leading the authors to conclude: “People with cancer should not feel pressured into adopting particular coping styles to improve survival or reduce the risk of recurrence” (p. 1066). Since the Petticrew et al. review, a 10-year follow-up of the Watson et al. study findings again found that fighting spirit conferred no advantage for survival , consistent with another large study of women with early-stage breast cancer . Claims about the physical health benefits of having a fighting spirit persist in the literature concerning a positive psychology of cancer , but most commentators without such an allegiance agree that the accumulation of studies have demonstrated the fighting spirit lacks value as a prognostic factor in cancer, much less as a causal factor. Yet, there is still little appreciation of how unrealistic the idea of being able to demonstrate such an effect was from the beginning. As Watson et al. noted, their study of 559 early breast cancer patients generated so few cases of progression and death in 5 years that, in order for a valid effect of fighting spirit to be demonstrated, adopting such an attitude would have had to be more potent than adjuvant therapy. For a valid effect to have been demonstrated in Greer et al.’s  more modest sample of 57 women with early breast cancer, effects of a fighting spirit would have to be even much stronger than most known biological factors or treatments. On an a priori basis, one might assume that it should be easy to demonstrate that positive psychological characteristics predict subsequent physical health, but upon reflection, it is also clear that it might be difficult to establish a causal connection. People possessing material and social resources are more likely to report positive psychological states, and having these external resources can be related directly to better subsequent health, with any association observed between positive psychological states and health potentially being spurious. Similarly, people in better health may report better positive psychological states and better initial health predicts better later health. They report better psychological states because they feel better physically and because they may also possess other information about their health status, as when cancer patients are informed of the treatment they will receive and their prognosis. Thus, in attempting to demonstrate that positive psychological characteristics cause better health, it is important that baseline differences in resources and biomedical and treatment variables be specified, adequately assessed, and statistically controlled. Otherwise, there is the likelihood that positive psychological states will only appear to predict subsequent health because of residual confounding, i.e., the failure of statistical controls. Of course, demonstration that direct manipulation of psychological states produces changes in health would be persuasive, but there are few such demonstrations, and so, we must more typically rely on statistical manipulation of what are essentially observational correlational data. An analogy can be made with studies examining self-perceived health (SPH) or physical health quality of life (PHQoL) as predictors of subsequent health. Even with statistical control of available disease and treatment variables, these self-reports very often remain significant predictors of mortality among chronically ill populations . This is because available control variables do not completely capture disease severity, treatment intensity, or medical history. For instance, pretreatment clinical tumor staging is often used to control for severity of disease, but provides an incomplete summary of overall disease burden. Thus, introducing stage as a control variable typically leaves considerable residual variance in disease severity unexplained. Variables such as SPH or PHQoL are confounded with disease and treatment variables, particularly when patient perceptions are informed by medical opinion or awareness of the extent of illness, allowing these self-reports to account for residual variance in mortality. Yet, no one would advocate attempting to influence patient self-report, independent of medical treatment in order to improve survival because these variables are not in themselves causal—confounding with variance resulting from incomplete control is what provides the prognostic value of SPH and PHQoL. Extending this analogy to positive psychological states, some relationship to mortality through health and behavior history or current disease and treatment status is to be expected and does not necessarily indicate anything theoretically interesting or clinically useful. Pressman and Cohen  make similar arguments in expressing “serious conceptual and methodological reservations” (p. 960) about the literature relating positive affect to physical health. Claims are nonetheless widespread that positive psychological factors slow progression, increase survival time, and reduce mortality in cancer. However, Chida and Steptoe’s  systematic review of positive psychological factors and survival identified 35 studies of mortality in samples of patients having particular chronic illnesses. Their meta-analysis then examined 19 studies of which five were cardiovascular disease and six were cancer, and null results were obtained for both conditions. Yet, in seeming contrast, Chida, Hamer, Wardle, and Steptoe  investigated the contribution of positive (i.e., fighting spirit and social support), ambiguous (locus of control and extroversion), and negative (stressful life events and negative coping style) stress-related factors to cancer incidence and mortality. They indicated in their abstract that they had found highly statistically significant associations for incidence of cancer in initially healthy populations, (p = 0.005), shorter survival time for persons diagnosed with cancer (p < 0.001), and higher rates of cancer mortality (p < 0.001). Chida et al. qualified their conclusion, providing statistical evidence of a publication bias, and so, these results should be interpreted with caution. Nonetheless, these claims warrant scrutiny because they are provocative, fuel existing beliefs that psychological variables influence progression and outcome of cancer, and are already being cited uncritically as the justification for preventive and therapeutic intervention [20, 21]. These meta-analyses aggregate a considerable number studies, 70% of which individually yielded null findings. The meta-analysis for incidence of cancer involved integrating 142 studies with an average sample size of 87,062; for survival time, the integration of 157 studies with an average sample size of 418; and for cancer mortality, the integration of 50 studies with an average size of 93,059. With such huge aggregate samples, levels of statistical significance are much less informative than hazard ratios (HRs) and confidence intervals (CIs). For cancer incidence, the results were HR = 1.06 (CI = 1.02–1.11); for survival, HR = 1.03 (CI = 1.02–1.04); and for mortality, 1.29 (CI = 1.16–1.44). The CIs for incidence and survival barely exceed the 1.0 that would have rendered them nonsignificant. Certainly, finding such an HR would not typically generate much excitement in the larger epidemiological literature. Recall too that Chida et al. acknowledge finding statistical indications of a publication bias, i.e., that would be “likely to create a positive result bias if authors are more likely to submit, or editors to accept positive rather than positive than negative or inconclusive results” (p. 473). A positive publication bias could easily explain such modest effects, especially those for incidence and survival. Yet, further scrutiny casts even greater doubt upon the validity of Chida et al.’s  conclusions, in part because of decisions made in integrating these studies in meta-analyses and in part because of the poor quality of many of the studies on which the meta-analyses draw. Chida et al.’s meta-analyses were conducted incorrectly because they counted a number of samples multiple times, effectively treating each as an independent cohort, rather than more appropriately entering one effect size per cohort [22, 23]. Thus, one study of the effects of the stressor death of a child on cancer mortality  was counted eight times because two ways of dying, accidental or in war, and four different cancer sites were examined. Another study [25, 26] was counted 22 times because the effects of death of a spouse and death of a child were each considered for different cancer sites. The “stress-related variables” that were considered equivalent for the purposes of meta-analysis (such as fighting spirit, shift work, death of child, neuroticism, and the MMPI Lie scale) were so highly heterogeneous as to defy any integrative theoretical interpretation of the omnibus effect size produced by a meta-analysis. Few of these studies provided even minimal statistical control over potential medical confounds: only 28% of the incidence studies, 1% of the survival studies, and 40% of the mortality studies. Many of the outlier highest estimates of an association between a stress-related variable and cancer came from underpowered studies with inadequate statistical control. Chida et al.’s  analyses were seriously flawed, but the methodologically limited and highly heterogeneous set of studies on which their analyses drew would pose challenges to making any integrative summary statement. Moreover, consistent with Pressman and Cohen , the problems that our cursory review of the problems in the available studies that Chida et al. encountered do not bode well for making any substantive interpretation of the literature relating psychological variables to cancer outcomes. Recently, there were hopes that newly emerging data from the large Women’s Health Initiative might shed light on the role of positive and negative factors in incidence of breast cancer. Michael et al. followed a sample of 84,334 women for an average of 7.6 years during which 2,481 invasive breast cancers were diagnosed. The unanticipated results were that, in this sample, low social support and high life stress seemed to protect against the development of breast cancer. Peterson’s  warning to positive psychology investigators and practitioners to resist the temptation to run ahead of what is known could not come soon enough for the study of benefit finding in adversity. After decades of study, we still do not know what benefit finding is, nor do we understand the circumstances in which finding benefits has positive adaptational value. Yet, positive psychology investigators have begun to identify interventions enhancing benefit finding among seriously ill individuals. Although we appreciate the temptation, the scientific literature demands restraint. More than restraint, it demands that the leadership of positive psychology offer a more sober—and scientifically accurate—tone on their websites, in press releases, when discussing research in their seminars, at their international summits, and in their writings. People living with a variety of illnesses, injuries, and losses have reported to positive psychology investigators that despite their plight, they have discovered benefits in their situation. People being treated for cancer, myocardial infarction and heart disease, HIV/AIDS, multiple sclerosis, limb amputation, acquired brain injury, rheumatoid arthritis, and lupus find benefits associated with their illness. Individuals who are bereaved, victims of terror incidents, survivors of childhood sexual abuse, victims of violence and trauma victims of natural disasters, and parents who have lost a child to illness or violent death have described to investigators benefits gained from their adverse experience . In hundreds of published studies, the majority of seriously ill or victimized individuals have reported benefit or gain. As Lechner et al. note, although the study of benefit finding in adversity predates positive psychology, interest in this line of inquiry has been fueled by positive psychology’s emphasis on thriving and human strengths, and it has become customary for authors of benefit finding studies to offer positive psychology as a context for their work. Tennen and Affleck  urged positive psychology investigators not to get ahead of themselves by designing benefit finding interventions and instead focus on gaining a solid conceptual understanding of the phenomenon, creating fundamentally sound measures, and using elegant prospective study designs. Seven years later, Lechner, Tennen, and Affleck  lamented that not much had changed. Positive psychology has offered little in terms of providing a commonly agreed upon conceptual home for benefit finding, measurement remains crude, and prospective study designs are not to be found. Thus, we still know little about a phenomenon that has attracted more than 300 publications. Theorists originally viewed victims’ reports of benefits or gains as a positive illusory process . Over the years, this view has been supplemented by the possibility that benefit finding is a selective appraisal; that it is a coping strategy; and that it reflects a genuine positive change that results from facing adversity. We will have more to say about positive psychology’s study of genuine change in our discussion of post-traumatic growth. After concluding that benefit finding has not been examined in the psychological literature in a way that allows us to conclude that it is a selective evaluation or a coping strategy, Tennen and Affleck  entertained several alternative views. They considered the possibility that benefit finding represented a personality characteristic, since some individuals characteristically provide narratives in which misfortune or life tragedy contains a positive aspect or leads to a positive outcome . They also considered the possibility that benefit finding represents a way in which people explain their characteristic hedonic level . A third explanation considered was based on Ross’s  demonstration that an exaggeration of positive change will occur when a person’s theory of change leads him/her to anticipate such change when little or no change has actually occurred. Finally, Tennen and Affleck  considered the possibility that benefit finding may represent a downward temporal comparison . In view of these compelling alternative conceptualizations of benefit finding, Tennen and Affleck  urged positive psychology investigators to focus on evaluating the alternatives before rushing to create benefit finding interventions. Seven years later, we are no closer to understanding what benefit finding is about. Is Benefit Finding Associated with Positive Adaptational Outcomes? Besides not knowing what benefit finding is, positive psychologists have been unable to determine the circumstances in which it is linked to positive or negative outcomes. Indeed, recent reviews reveal major inconsistencies across studies in the association between benefit finding and adjustment indicators. In their review of the literature examining benefit finding among individuals living with cancer, Stanton, Bower, and Low  found that although some studies have linked benefit finding with lower levels of distress, greater life satisfaction, and other positive adjustment indices, other studies have found no relationship between benefit finding and adjustment outcomes or even a negative relationship. Similarly, Zoellner and Maercker  concluded that the literature “reveals a rather irritating and inconclusive picture” (p. 635) of the adaptive significance of benefit finding. More recently, Sumalla, Ochoa, and Blanco  drew a similar conclusion from their review of the literature on post-traumatic growth in cancer. Among the explanations offered for this inconsistent pattern of associations are that there exists a non-linear relationship between benefit finding and adjustment , that unmeasured moderators may be at work , and that benefit finding has a constructive side and a self-deceptive and potentially dysfunctional side . Positive psychology is a very long way from understanding benefit finding and its correlates. Without this understanding, positive psychologists can best demonstrate their allegiance to a scientific attitude by changing course and acknowledging just how little is actually known. Can Enhancing Benefit Finding Improve Immune Functioning and the Survival of Cancer Patients? McGregor and colleagues  identified a study of group cognitive–behavioral stress management (CBSM; 40) as the first to demonstrate that psychological intervention could change benefit finding in cancer patients. Presenting results of a smaller sub-study with the same sample, these investigators reported that changes in benefit finding brought about by CBSM were correlated with changes in immune measures, independent of changes in distress . Similarly, Carver, Lechner, and Antoni  interpreted the effect of Spiegel and colleagues’ supportive expressive therapy [42, 43, 44] as possibly occurring through increasing benefit finding through emotional expression, although Spiegel et al. did not actually measure benefit finding. These are extraordinary interpretations, particularly in view of the long-standing belief of scientists and laypeople alike that Spiegel et al. had demonstrated a strong effect of psychological intervention on survival that was not anticipated and that was not readily explained theoretically. Such interpretations are also strongly consonant with lay beliefs in the benefits of improving immune functioning as a way of fighting cancer . Many breast cancer patients come to support groups and group therapy with the explicit expectation that they are improving their chances for slowed progression and longer survival . Moreover, another investigator group  has recently claimed also to have demonstrated changes in the immune system, slowed progression of cancer, and extended survival through psychological intervention. The intervention employed in this study was complex but emphasized stress reduction and relaxation. It was thus quite similar to the CBSM construed by McGregor et al. as an intervention improving benefit finding. As McGregor et al. acknowledge, CBSM was not designed to enhance benefit finding, and examination of its components  suggests that it is an unlikely candidate to be identified as an intervention to change benefit finding. The intervention exposes patients to ten treatment modules in ten sessions, most of them being relaxation therapies, but coping skills, including assertiveness and anger management training are also included. The original goal of CBSM was a reduction in distress, but no such effects were obtained. The CBSM trial is quite consistent with most studies of early-stage and metastatic breast cancer patients in not demonstrating a reduction in distress [48, 49, 50]. An examination of the actual results for the time x treatment interactions in these studies reveal few significant effects for multiple measures of distress, and no effects if controls for multiple comparisons are introduced . The null results of these studies might simply be due to the weakness of group intervention or this pattern of results could be due to the low level of distress among breast cancer patients when they are not selected on the basis of heightened distress . Regardless, a skeptic might note that claims that such interventions, although designed to reduce distress, actually increase benefit finding and thereby improve immune functioning preserves interest in them as potentially active, effective interventions. Mass media accounts and promoters of alternative medical treatment of cancer frequently assume the importance of strengthening the immune system for fighting cancer, but what evidence is there that parameters of immune functioning assessed in studies of psychological intervention are relevant? Medical interventions that affected these immune parameters would be unlikely to attract much attention unless it could be demonstrated that such changes were associated with slowing of progression of cancer or improved survival. Even when parameters of the immune system are related to tumor characteristics, the association could simply be a result of the tumor as a foreign body eliciting an ineffectual response from the immune system, such that strengthening that response would have no effect. In general, the role of the immune system in cancer is quite complex and poorly understood, and in some instances, tumors may even enlist the immune system to accelerate development . The role of the immune system is different for different cancers. Although immunologic effects of psychosocial intervention are studied in breast cancer, it is a particularly poor candidate for demonstrating a clinically significant effect because it is not immunogenic [17, 55]. Furthermore, evidence for any stress-immune functioning-illness link is much less convincing for cancer versus other diseases [56, 57]. Recently, Andersen and colleagues claim to have demonstrated that a psychological intervention resembling CBSM, not only improved mood and immune functioning, but also slowed progression of early breast cancer and increased survival . Yet, a careful examination of the data from this study gives a contrary impression. Weak, mostly null results were obtained across eight measures of mood, 15 measures of immune functioning, and four measures of health behaviors. There would appear to be no differences between the intervention and control group in progression and survival in straightforward, simple comparisons . Andersen et al.’s claims of an effect of psychological intervention on survival are also markedly inconsistent with a larger literature. A systematic review concluded that the evidence is uniformly negative . No trial in which survival was chosen as the outcome of interest a priori has demonstrated a survival effect for patients with any type of cancer, when psychotherapy was not confounded with improved medical surveillance or treatment. A close examination of the classic Spiegel et al. trial  shows that the survival curve for the control group is aberrant, so that the study violates the basic assumptions of a clinical trial that absent receiving the intervention, the intervention group would resemble outcomes for the control group . Yet, there has been little acknowledgement among positive psychologists of such an overall weight of negative evidence regarding the effect of positive psychology interventions on the physical health outcomes of cancer patients . To the contrary, with what appears to be consistent confirmatory bias, negative evidence has been ignored or reinterpreted to create an impression of progress and impressive breakthroughs. What is striking in the literature concerning a positive psychology of cancer  is that the issue of whether psychological interventions can improve survival is considered by no means settled. To the contrary, group interventions have been reconceptualized in terms of positive psychological processes being their mechanism of action and effects are claimed for immune function, which depend on being linked to progression and survival for their clinical validity. In effect, the positive psychology literature continues with efforts to explain health effects that have not been observed, using changes in immune function as the mediator. There is, however, no evidence that such cautions are close to being heeded. Indeed, the literature on post-traumatic growth, to which we now turn, indicates that, for positive psychology, it is full speed ahead and no looking back. Post-traumatic growth, the notion that an individual can experience improved relationships, increased inner strength, and deepening spirituality from having undergone a traumatic or life-threatening experience, has spawned hundreds of articles over the past 15 years, including many that have appeared in behavioral medicine and health psychology journals, where reports of growth in the aftermath of serious illness, most frequently cancer, have prevailed. That positive psychology has claimed post-traumatic growth (PTG) within its domain is irrefutable: PTG is featured on the APA Road to Resilience website ; the literature in this area has been featured in both editions of the Handbook of Positive Psychology [62, 63]; and PTG has been linked explicitly to positive psychology in other volumes . Indeed, Linley —an important contributor to the field of positive psychology—has referred to PTG as “the apotheosis of positive psychology.” There can be no doubt that positive psychology embraces the burgeoning PTG literature. We now examine this literature to determine how well positive psychology has lived up to its high scientific standard. The upsurge in research on post-traumatic growth in recent years has been hastened in large part by the availability of scales purporting to measure growth in the context of adversity, including serious illness . These instruments have become positive psychology’s operationalization of post-traumatic growth. Although research participants readily complete measures of PTG, an examination of scale items raises serious concerns as to whether people can accurately portray the growth they claim to have experienced. Every PTG scale asks participants to rate how much they have changed on each scale item as the result of the crisis they faced. Thus, a respondent must: (a) evaluate her/his current standing on the dimension described in the item, e.g., a sense of closeness to others; (b) recall her/his previous standing on the same dimension; (c) compare the current and previous standings; (d) assess the degree of change; and (e) determine how much of that change can be attributed to the stressful encounter. Psychological science, which purportedly guides positive psychology, tells us that people cannot accurately generate or manipulate the information required to faithfully report trauma- or stress-related growth (or to report benefits) that results from threatening encounters. The psychological literature demonstrates consistently that people are unable to recollect personal change accurately. Costa and McCrae  assessed the “Big 5” personality traits twice over 6 years. After the second assessment, participants were asked to report changes in their personalities over the 6 years. Based on their findings, Costa and McCrae concluded that “it appears that self-perceived changes in personality are misperceptions” (p. 65). 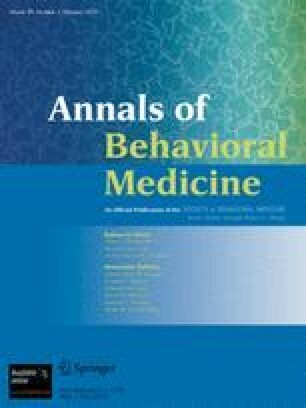 Henry and colleagues , who had collected 18 years of repeated measures of well-being and behavior from their large and well-characterized cohort, asked participants to recall how much they changed on the measured constructs. Retrospective reports of change showed poor agreement with prospective data documenting actual changes. Similarly, Robins, Noftle, Trzesniewski, and Roberts  measured college students’ personality six times over 4 years. After the Year 4 assessment, they measured perceived personality change. Most of these students believed that their personality had changed substantially in positive ways—from their reports, we might be led to infer that they experienced “transition-to-college-related growth.” However, the correspondence between actual change measured prospectively and perceived change was, once again, quite modest. There is also clear evidence that people cannot recall personal change accurately even over a few months. In a pivotal study, Wilson and Ross  asked college students to rate their social skills, self-confidence, and life satisfaction in September and then again in November. Their September self-ratings were somewhat more favorable than their November ratings. But when these students were asked in November to describe themselves as they were in September on these same attributes, they rated their September self as inferior to their November self. In other words, they perceived improvement in the face of actual decline. Had Wilson and Ross asked their participants how much they had changed since September, they would almost surely have found evidence of “growth” when there was none. The measures of PTG that are the basis of positive psychology’s contributions to the literature inquire about positive relationship change. Fortunately, there is a well-developed scientific literature upon which to evaluate whether people can recall relationship change accurately. In one of several studies of perceived growth in close relationships, Kirkpatrick and Hazan  asked dating couples to assess the current quality of their relationship once a year for 4 years. In the fourth year, these couples were asked about the quality of their relationship in each of the previous years that they had participated in the study. As a group, couples recalled that the strength of their love had grown over time, just as participants in studies of post-traumatic growth report that their close relationships have deepened and grown. Yet, the prospective ratings Kirkpatrick and Hazan had collected revealed no increases in reported love and attachment. Kirkpatrick and Hazan’s findings have received conceptual replication in the work of Karney and Coombs [72, 73]. Taken together, studies of couples’ recollections of relationship change—studies that represent the science that positive psychology purports to revere—present a formidable challenge for its claims regarding post-traumatic growth. Even if people were not burdened by the recall problems documented repeatedly in studies of perceived personal change and relationship change, to complete current measures of PTG they would need to accurately determine how much change can be attributed to the traumatic event itself. In other words, people must be able to accurately judge co-variation between the event and subsequent personal changes. A good deal of evidence demonstrates how judgments of co-variation are biased through illusory correlation , whereby the individual who expects a relationship between the two variables tends to overestimate the magnitude of any relation that might exist or even infers a relation when none exists. Consider a participant in one of the many published studies of PTG among women with breast cancer. The participant is asked to rate the growth she experienced from the cancer experience. To accurately convey the amount of growth that occurred for each scale item, the respondent must first compare herself in the present with how she recalls being on that dimension prior to her cancer diagnosis and then estimate how much of that difference is due to the cancer experience rather than to a secular trend, a developmental change, or a process unrelated to her illness. But, the psychological literature makes clear that people deprecate their past selves to enhance themselves in the present, and they exaggerate in retrospect the stressfulness of life encounters as a way to enhance their current selves. Schacter  provides convincing evidence to support his conclusion that “[e]xaggerating the difficulty of past experiences is another way people enhance [their current status]” (p. 152). Even among those relatively few people with near-perfect recall and no motivational impetus, the challenge of detecting and recalling trauma-related change, i.e., change that takes into account developmental trajectories unrelated to any particular event, is formidable, and positive psychology’s measures of PTG and benefit finding are not exceptions to the rather overwhelming evidence. Psychological science has known for a half century  that people cannot combine the complex information required to judge that personal growth has occurred in response to a threatening encounter, and many investigations over many years have documented the significant limitations in people’s capacity to recall personal change. We must conclude that positive psychology researchers are either unaware of the rich and broad psychological science that is at odds with their measurement tools or that they have decided, contrary to their public assertions, to ignore the science. A recent study  has now tested directly the validity of self-reported post-traumatic growth by assessing prospectively the relation between the measurement of post-traumatic growth as advocated by positive psychology investigators and actual growth from pre- to post-trauma. In this study, more than 1,500 young adults completed measures of the post-traumatic domains measured by the Post-traumatic Growth Inventory (PTGI)  on two occasions separated by 2 months. They also completed the PTGI on the second occasion. One hundred twenty-two of the participants were selected for further study because they reported experiencing a traumatic event during the 2 months. Nearly 75% of these events were rated by the participants as causing intense fear, helplessness, or horror, which is part of the definition of a traumatic event in the DSM-IV . Frazier and colleagues compared actual change in the PTGI domains to scores on the PTGI among participants who reported a traumatic event during the time between the two assessments. PTGI scores were by and large unrelated to actual growth in PTG-related domains. Moreover, growth measured with the PTGI was associated with increased distress from pre- to post-trauma, whereas actual growth was related to decreased distress. Finally, PTGI measured growth, but not actual growth was strongly related to positive reinterpretation coping. Based on these findings, the authors conclude “[t]hus, the PTGI and perhaps other retrospective measures [of PTG] do not appear to measure actual pre- to posttrauma change” (p. 912). Most recently, Yanez, Stanton, Hoyt, Tennen, and Lechner  replicated these troubling findings and offered preliminary evidence for their underlying mechanisms. We are at a loss to explain why positive psychology investigators continue to endorse the flawed conceptualization and measurement of personal growth following adversity. Despite Peterson’s  warning that the credibility of positive psychology’s claim to science demands close attention to the evidence, post-traumatic growth—a construct that has now generated hundreds of articles—continues to be studied with flawed methods and a disregard for the evidence generated by psychological science. It is this same pattern of disregard that has encouraged extravagant claims regarding the health benefits of positive psychological states among individuals living with cancer. We want to be clear that we are not asserting that people cannot grow from confronting life’s slings and arrows, including serious illness and other health challenges. Of course, positive psychology has no corner on the concept of post-traumatic growth, which has been alluded to by philosophers, playwrights, novelists, theologians, and more recently, icons of the popular culture. What positive psychology potentially has to offer the concept of post-traumatic growth is scientific scrutiny through careful measurement, sensitive study designs, an attitude that propels investigators to seek facts that will disconfirm positive psychology’s elegant hypotheses, and careful attention to credible evidence. It is here, in the science—which ostensibly distinguishes the current version of positive psychology from its predecessors—that positive psychology has failed, quite miserably we believe, in its approach to examining growth following adversity. We have challenged on scientific grounds positive psychology’s approach to four issues that have moved front and center in the behavioral medicine literature: Positive psychological factors influencing the physical health of people living with cancer and the health effects of psychological interventions; benefit finding in the face of serious illness and other threatening encounters; and post-traumatic growth. In each area, positive psychology investigators have been indifferent to the scientific evidence and have applied study methods and designs that are—based on strong psychological science—completely inadequate. This contrasts sharply with the quality of accumulating evidence demonstrating that life stress predicts progression of some diseases  even if not convincingly cancer and that stress dysregulates the immune system and compromises health in other ways as well . Peterson  concluded that “positive psychology will rise or fall on the science on which it is based (p. xxiii).” Using this standard, positive psychology has fallen in its treatment of these four important areas of inquiry that are highly relevant to Annals readers. We call on positive psychology’s leadership, which to this point has fostered a destructive exuberance in the four areas we have reviewed, to challenge positive psychologists to rededicate themselves to a positive psychology based on scientific evidence rather than wishful thinking. Our discussion of post-traumatic growth is based in part on Tennen and Affleck (2008). American Psychological Association. The Road to Resilience. APA Help Center Web site. 2004. Available at: http://apahelpcenter.org/featuredtopics/feature.php?id=6. Accessed July 18, 2008. Linley A. Positive psychology and life. 2002. Available at: http://www.le.ac.uk/pc/aa/pal/enpp/teachers/ppLife. Accessed March 18, 2009.